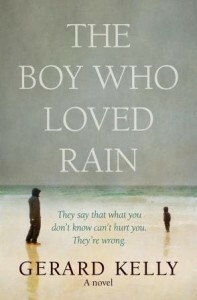 THE BOY WHO LOVED RAIN (LionHudson) by Gerard Kelly is a novel about slowly peeling back deeply hidden layers of shame and exposing secrets and memories that are destined to destroy lives. Fourteen-year old, Collom keeps waking up screaming to the same nightmare where he’s drowning and can’t save a mysterious girl he knows from the past. His mother, Fiona wants to take him for professional help because he’s fighting and having other behavior problems at school, in addition to the nightmares. Collom’s father, David is the Pastor at the local church, but he wants to keep their issues within the Church Family. After a serious row, Fiona packs up and moves with Collom and meets with a professional. 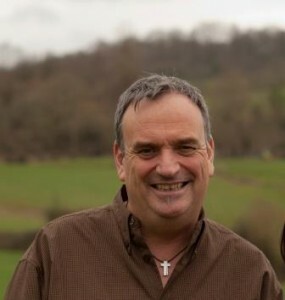 Gerard Kelly is a poet and a well-known speaker of Faith in Europe. His writing is beautiful and lyrical. You will not rush through THE BOY WHO LOVES RAIN. His use of metaphor is rich and breathtaking. He starts with a bare canvas and slowly fills it, while you the reader at times see no future for this family, Gerard Kelly always offers hope. Thanks to TLC Book Tours for giving all Thoughts on This ‘n That readers a chance to win a copy of the novel, THE BOY WHO LOVED RAIN. All you have to do is, leave a comment telling us what comes to your mind when you think of rain. We’ll pick a winner Friday. YAY! Feel free to check out http://www.cindyroesel.com for more reviews and news about my novel, “Viewer Discretion Advised.” Have a wonderful week. Rain is soothing, calming and necessary for life. I like the image of it being soothing, Ellie. Thank you for your post. Rain means renewal to me. I love it! Rain is soothing to hear. It helps fresh vegetables to grow and it’s excellent napping weather! Perfect for napping and reading on a lazy afternoon. Thanks Bonnie! Rain makes corn, corn makes whiskey…. LOL. Luke Bryan’s song, Rain is a good thing. That was the first thing I thought of. Books sounds great. I like Luke’s music, too.